At Prolight + Sound 2019, ETC and High End Systems will be joining together to showcase the latest line up of product innovations across four stands in Hall 12.1: Stands B40, B41, B46, B47. This includes the debut of a not-to-be-missed new product which will be revealed at the show. Visitors to the stands will see ETC’s first automated fixture in over a decade, the award-winning Relevé Spot. Specifically designed for theatre, this moving light boasts a calibrated four-color additive mixing system and a unique Ani-gobo wheel which creates textures like never before. High End Systems’ will showcase a selection of pioneering automated lighting technology, including the SolaFrame 3000, SolaFrame Theatre and the new SolaFrame 1000 and SolaSpot 3000. The recently launched SolaFrame 1000 offers a diverse feature set and is available in Ultra-Bright and High CRI versions. SolaSpot 3000 boasts more than 37,000 lumen output with a Bright White LED engine. The flagship fixture offers an unprecedented amount of effect combinations – three gobo wheels for a total of 21 patterns, two animation wheels, two prisms, aerial effects and more. The much anticipated TurboRay by High End Systems will also be at the show. This new fixture in the company’s FX range offers a classic retro look with its radial diffusers, and can be used as a narrow-angle wash light or as a powerful hard edge beam that produces beautiful aerial effects and more. 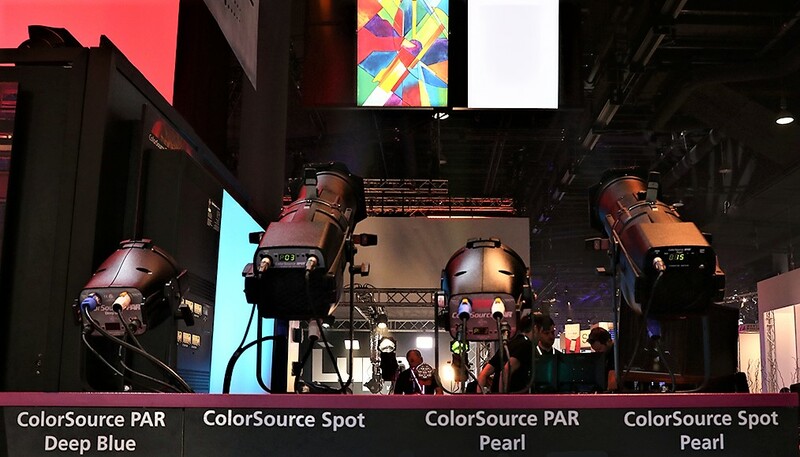 There will be three product lines of control on display at this year’s Prolight + Sound: Hog, Eos and ColorSource. Visitors to the stand should look out for something new and exciting in the world of Eos during the show. Visitors can talk to product experts about ETC’s Stage Technology solutions including Prodigy P2 hoist, QuickTouch Preset and QuickTouch+ controllers and accessories. The Prodigy P2 is a complete package hoist, suitable to fit any venue’s needs. It is fast and easy to install and with some configurations available off the shelf in Europe for an even quicker project. ColorSource Raceway provides the ideal combination of power and control for modern lighting systems in an economical package, and its lightweight aluminum construction makes it an ideal partner to Prodigy P2. Students that are interested in lighting design or a career in lighting are welcome to attend ETC’s Student Session on the 4th April at 4pm (Hall 4, Level C, Room Entente). Lighting industry professionals and product specialists from High End Systems and ETC will be present to talk about the latest developments in lighting technology and design. The Hog Factor 2019 final is on a bigger scale than ever before this year. Shortlisted teams will compete against one another with a performance of their lighting show on the High End Systems stands on 3rd April at 5pm. It will be a show not to be missed!